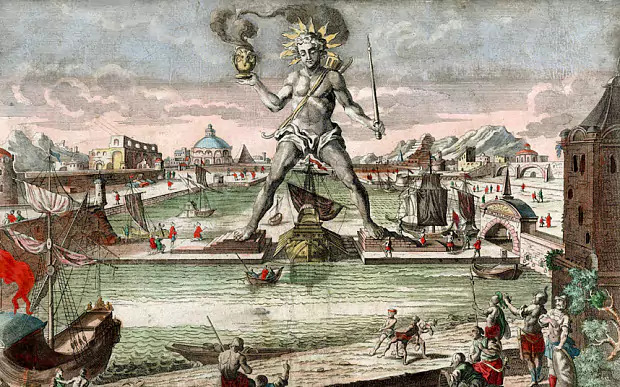 The Grand Coalition of the Social Democrats and Christian Democrats straddles the center-left and center-right like the Colossus of Rhodes and leaves no credible opposition as an alternative government in its wake. Germans elected a new parliament on 24 September 2017. The main center-right and center-left parties, the Christian Democrats and Social Democrats, both lost ground to the far-right Alternative for Germany and the far-left, aptly named The Left. The Free Democrats, a pro-business liberal party, won back the presence and representation that they lost in 2013, and the Greens also made gains. From 2005 to 2009 and from 2013 to 2017, Angela Merkel’s Christian Democrats governed in Grand Coalition with the Social Democrats. From 2009 to 2013, the Christian Democrats entered into a more ideologically compatible coalition with the Free Democrats. In 2017, the Christian Democrats won a plurality of seats and sought to form another coalition, but the Social Democrats refused to continue their previous arrangement and instead sought to become the official opposition. The Christian Democrats entered into negotiations with the Free Democrats and Greens — since all three would need to coalesce in order to form a parliamentary majority. On 20 November 2017, coalition talks between these three parties broke down after the Free Democrats withdrew. The German media then discussed the possibility that Germans would have to go to polls in an early election in 2018. Incumbent Chancellor Angela Merkel herself reportedly favours this possibility. Most of these media articles did not comment on precisely how the Basic Law allows for early elections under limited circumstances or delve into discussions of constructive non-confidence and confirmation voting. Essentially, there are two possibilities for how an early election can occur in Germany, and I’ve outlined them below. Also, I can’t help but note that the Fixed-Term Parliaments Act, 2011 has made British politics more like the politics of Germany and other Continental European countries. This legislation, whose radicalism often flies under the radar, has imposed on the Westminster Parliament a kind of constructive non-confidence and confirmation voting, similar in principle but slightly different in form from what Germany’s Basic Law provides. I need to get some things out of my system now before proceeding with this analysis. Quite frankly, it is impossible to explain the rationale and historical origins of the Basic Law of 1949 — particular Article 63, which discourages single-party minority government, and Article 68, which requires constructive non-confidence — without mentioning the War and proving Godwin’s Law right. But perhaps Godwin’s Law doesn’t count when an argument legitimately involves or must cover the Third Reich. Irish comedian Dylan Moran recounted his experience of talking to Germans during the World Cup in 2006: “The whole time, you’re listening to this and thinking, ‘Um-hum, yeah, hmmm, Hitler, Hitler, Hitler, Hitler. And the Hitler, then you did that Hitler thing with Hitler! '” I also can’t read these sections of the Basic Law without thinking of the Third Reich. The de-Nazified West Germany drafted the Basic Law of 1949 in order to prevent the constitutional breakdown that the National Socialists unleashed deliberately on the unstable semi-presidential Weimar Republic. Under Article 41 of the Weimar Republic’s Constitution of 1919, the Reich’s President was directly elected by the German people. Article 53 gave the Reich’s President the authority to appoint and dismiss the Chancellor and Ministers, and Article 54 both mandated the Ministry must command the confidence of the Reichstag (the lower house) and allowed the Reichstag to withdraw its confidence from either the ministry as a whole or from individual ministers. In other words, collective ministerial responsibility as we understand it in the Commonwealth Realms did not exist in the Weimar Republic, which I would argue contributed in principle to the instability of its ministries. By necessity, therefore, the Reich’s President would have been able to dictate the composition of the government, since he could appoint or dismiss individual ministers and even the chancellor with a broad personal discretion. Curiously, Article 58 stipulated that cabinet would operate not under collective responsibility, but by majority vote, and it gave the Reich’s President the authority to cast a tie-breaking vote. For example, Article 54 limits the powers of the President, who is now elected by a Federal Convention of federal and state MPs, instead of making the office directly elected by the German people. In principle, the absence of a popular mandate constrains the President and more narrowly circumscribes the head of state function in the Federal Republic of Germany. Both Article 63 of Article 67 of the Basic Law provide possible procedures for precipitating early general elections, but both in roundabout ways. Article 63 of the Basic Law deals with the election of the Chancellor. It prescribes procedures for what political scientists call, in the general sense “confirmation voting,” which usually means that elected MPs elect one of their own fellow-MPs to become head of government (i.e., Chancellor) and that the head of state (i.e., the President) then appoints this MP Chancellor in accordance with the confirmation vote itself. In our system of Responsible Government, in contrast, the Governor General appoints a new Prime Minister before the new Parliament first meets. But under Consensus Government, the Legislative Assemblies of the Northwest Territories and Nunavut elect Premiers through confirmation votes, and the territorial Commissioner then appoints that MLA as Premier in accordance with the assembly’s advice. 1. The Federal Chancellor shall be elected by the Bundestag without debate on the proposal of the Federal President. 2.The person who receives the votes of a majority of the Members of the Bundestag shall be elected. The person elected shall be appointed by the Federal President. 3.If the person proposed by the Federal President is not elected, the Bundestag may elect a Federal Chancellor within fourteen days after the ballot by the votes of more than one half of its Members. 4.If no Federal Chancellor is elected within this period, a new election shall take place without delay, in which the person who receives the largest number of votes shall be elected. If the person elected receives the votes of a majority of the Members of the Bundestag, the Federal President must appoint him within seven days after the election. If the person elected does not receive such a majority, then within seven days the Federal President shall either appoint him or dissolve the Bundestag. In the normal course of events, the confirmation vote under Article 63 proceeds as a formality because the politicians themselves have already determined the outcome through coalition negotiations. MPs of the parties participating in the coalition already know whom they would support, and the President already knows that he will end up appointing the person whom he first put forward. In other words, Angela Markel’s confirmation votes from 2005, 2009, and 2013 only involved sections 1 and 2 of Article 63. But since the coalition talks broke down last week, the confirmation vote in 2017 will not go so smoothly; section 3 probably would not apply in this situation, but section 4 will almost certainly come into play. Essentially, Section 4 of Article 63 discourages single-party minority government and gives the President the discretion to dissolve parliament and has seven days after the confirmation over in which to decide whether to call fresh elections if the Bundestag ends up electing a Chancellor through only a plurality of votes. I suspect that Merkel and the CDU would prefer this procedure — but ultimately, President Steinmeier will make this decision. Article 63 of the Basic Law repudiates the failures of the Weimar Republic’s Constitution. Alternatively, if President Steinmeier decides to appoint Merkel as Chancellor of a minority government under Article 63, Section 4, then Articles 67 and 68 provides another possible, though more convoluted, means for an early election. These latter two sections set out the procedure for constructive non-confidence, a method which West Germany pioneered. Under constructive non-confidence, the elected assembly may only withdraw its confidence from the Ministry if it simultaneously puts forward a proposed replacement Ministry. The assembly would then need to hold a confirmation vote on its proposed replacement Ministry, and the head of state would appoint this new Ministry in accordance with the result of the assembly’s confirmation vote. Constructive non-confidence thereby makes early dissolution more difficult and helps keep parliaments to their fixed four- or five-year lifespans and keeps the timetable for holding general elections intact and regular. Article 38 of the Basic Law sets the maximum life of a German parliament at 4 years. This procedure also prevents extremist parties from causing chaos and bringing down governments, like the National Socialists did in the late 1920s and early 1930s. The Bundestag may express its lack of confidence in the Federal Chancellor only by electing a successor by the vote of a majority of its Members and requesting the Federal President to dismiss the Federal Chancellor. The Federal President must comply with the request and appoint the person elected. Forty-eight hours shall elapse between the motion and the election. If a motion of the Federal Chancellor for a vote of confidence is not supported by the majority of the Members of the Bundestag, the Federal President, upon the proposal of the Federal Chancellor, may dissolve the Bundestag within twenty-one days. The right of dissolution shall lapse as soon as the Bundestag elects another Federal Chancellor by the vote of a majority of its Members. Forty-eight hours shall elapse between the motion and the vote. Under Article 67, the Bundestag itself initiates the vote, like the equivalent of a motion in a Commonwealth Realm, “That this House has no confidence in Her Majesty’s Government.” Under Article 68, the Chancellor herself can initiate a confirmatory vote of confidence, like the equivalent in our system of, “That this House has confidence in Her Majesty’s Government.” In principle, Chancellors could invoke the procedure in Article 68 to engineer the defeat of their own Ministry with the express intent of advising an early dissolution. Thus far, three precedents involve Articles 67 and/or 68. In 1972 and 1982, the Bundestag and Chancellor invoked both. Only Christian Democrat Helmut Kohl used both procedures successfully in 1982: Article 67 to oust the incumbent Social Democratic Chancellor Helmut Schmidt, and Article 68 after he had become Chancellor in order to precipitate fresh elections and solidify the seat counts of the Christian Democrats and Free Democrats. Kohl went on to serve as Chancellor until 1998. In 2005, Social Democratic Chancellor Schroder invoked only Article 68 in a transparently cynical decision; ultimately, voters punished him for that arrogant presumption, and Angela Merkel became Chancellor after the election in 2005. Given what we know of Chancellor Merkel’s cautious and deliberate style of governing, I suspect that Merkel herself would prefer early dissolution under Article 63 and very much hopes that President Steinmeier will veto the prospect of a minority government. But if Steinmeier were to allow Merkel to continue as Chancellor of a minority government, I predict that Merkel would follow a course of action more similar to Kohl’s precedent of 1982 than Schroder’s naked ambition of 2005; Merkel would allow the Bundestag to make the first move and initiate Article 67. Under the Weimar Republic’s Constitution, collective ministerial responsibility and cabinet solidarity as we understand them in the Commonwealth Realms did not exist, given that the Reichstag could withdraw its confidence from individual ministers, and that the Reichspresident could dismiss the Chancellor independent of the Reichstag’s votes of confidence. The first Chancellor West Germany, Konrad Adenauer, set the precedent for kanzlerdemokratie, “Chancellor Democracy,” in which he maximized the centrality of his office relative to the other cabinet ministers. Essentially, Chancellor Democracy makes the Chancellor the focus of all questions of collective ministerial responsibility. From a political standpoint, German politics has suffered from an overdose of consensus straddling the center-left and center-right since 2005, when Angela Merkel first became Chancellor. From 2005 to 2009, she governed in a Grand Coalition with the Social Democrats (sans Schroder), the Christian Democrats’ main rival. In the election of 2009, Merkel made clear that she would prefer to govern in coalition with the Free Democrats instead, just as her former mentor Helmut Kohl had done between 1982 and 1998 — and Merkel got her wish. From 2009 to 2013, the Christian Democrats governed in a more ideologically compatible coalition with the Free Democrats, which allowed the Social Democrats to act as a coherent opposition. But after the vagaries of Germany’s mixed-member proportional system shut the Free Democrats out of parliament in the election of 2013, Merkel’s Christian Democrats once again entered into a Grand Coalition with the Social Democrats. By definition, no credible party capable of forming government served in opposition, which the Social Democrats had abandoned to the fringes, the far-left and the far-right. Since Germans saw that only the fringes could provide opposition to the CDU-SPD colossus, which straddles the center-left and center-right of the political spectrum, is it any wonder that they showed record support for the far-left Die Linke and the far-right Alternative for Germany in 2017? In the Province of Canada and Dominion of Canada, only two Grand Coalitions have ever governed: once from 1864 to 1867 in order to bring about Confederation, and again from 1917 to 1920 between Robert Borden’s Conservatives and most English-speaking Liberals in order to consolidate the Dominion of Canada’s prosecution of the First World War. Grand Coalitions, which temporarily suspend normal partisanship and the government-opposition dynamic by combining non-ideologically compatible parties together in government, should exist only during true national exigencies. Never should they become a matter of course — but they have in Germany since 2005. This fundamentally undermines parliamentary government and good government, and over the long-term, permanent Grand Coalitions encourage political instability. And why would it not? Under permanent or semi-permanent Grand Coalitions of non-ideologically compatible parties, elections don’t matter, and voters cannot properly hold governments to account. Consequently, they express their disapproval by voting for extremist and fringe parties because only these parties would oppose the government and only voting for these parties allows the people to express dissatisfaction with the current government. Sadly, the latest reports indicate that the leader of the Social Democrats, Martin Schultz, might renege on his promise that the Social Democratic Party would form the opposition and reject continuing the Grand Coalition with Merkel’s Christian Democrats. So perhaps we will not see an early election under either Article 63 or Articles 67 and 68 after all. But it would probably be best if we did. DW, “Coalition Talks: Germany’s Angela Merkel Prefers Fresh Elections Over Minority Government,” 20 November 2017. Rod Hague and Martin Harrop, Political Science: A Comparative Introduction, 5th Edition. (New York: Palgrave-MacMillan, 2007), 340. This entry was posted in Comparative, Fixed-Date Elections, Government Formation in Germany. Bookmark the permalink.